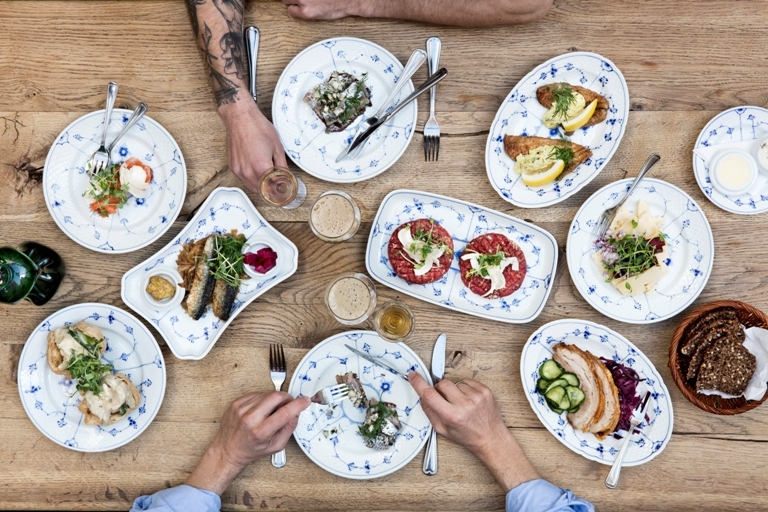 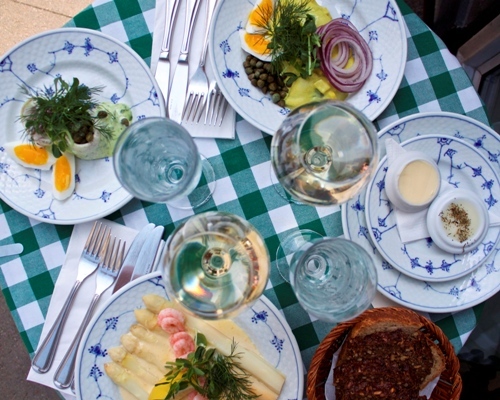 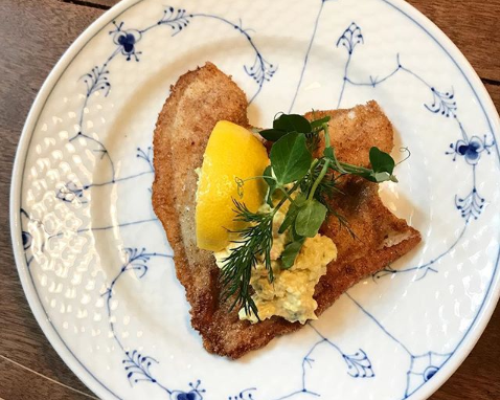 Jacob Termansen lists five “highly recommended restaurants for the truly original open sandwich” in Copenhagen under the headline “Smørrebrød Heritage” in the city guide Aux Villes du Monde. 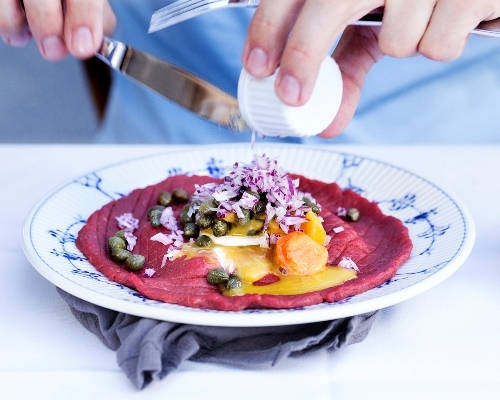 We are proud and happy to have made the list. 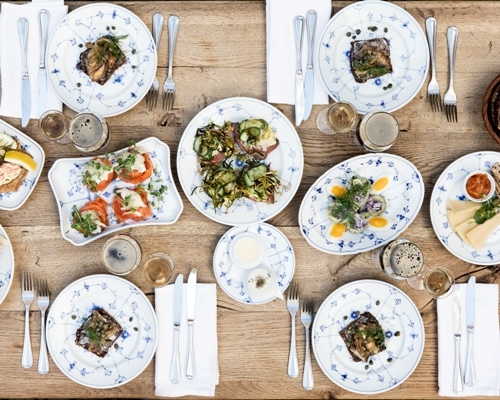 “The classic Danish open sandwich (aka ‘smørrebrød’) has established itself as a staple of Denmark’s traditional lunch items,“ writes photographer and writer Jacob Termansen in the city guide Aux Villes du Monde under the headline “Smørrebrød Heritage”. 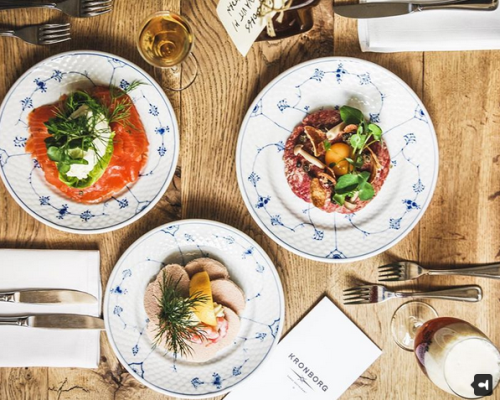 TripExpert is a new concept: rating and ranking hotels, restaurants and tourist attractions based on professional reviews from 85+ leading travel guides and magazines. 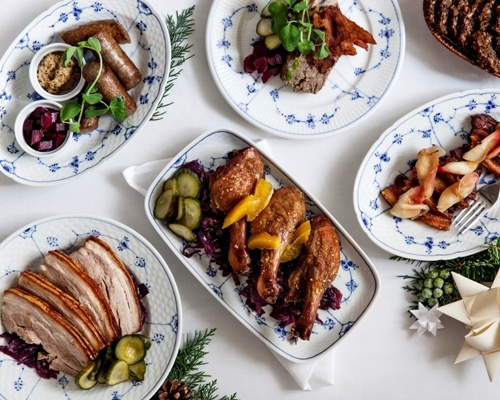 “We are delighted to inform you that Restaurant Kronborg is among the winners of our “2018 Experts’ Choice Award”,” writes Chris Blume from TripExpert. 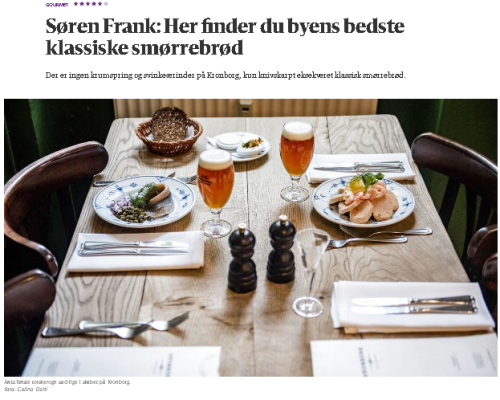 Ole Troelsø is acknowledged as Denmark’s premier smørrebrød aficionado, and we are proud and honoured to be one of the select smørrebrød restaurants he recommends in his article “The Restaurant Reviewer’s Best Tips to Smørrebrød” in Danish business daily, Børsen. 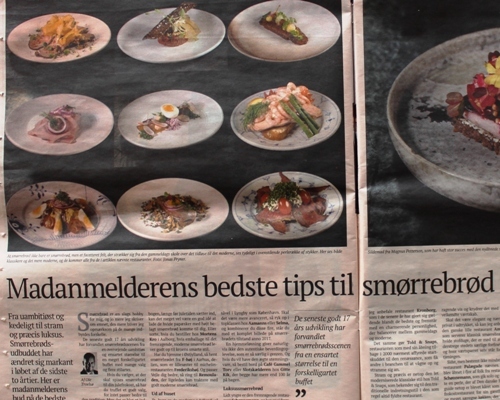 “…in the traditional category I will recommend Restaurant Kronborg, which in recent years has earned its place among the best and demonstrates a charming personality, balancing between old school and modern,” writes Ole Troelsø, Gastronomy Editor at Danish business daily, Børsen, in the weekend edition on 8 December 2017.